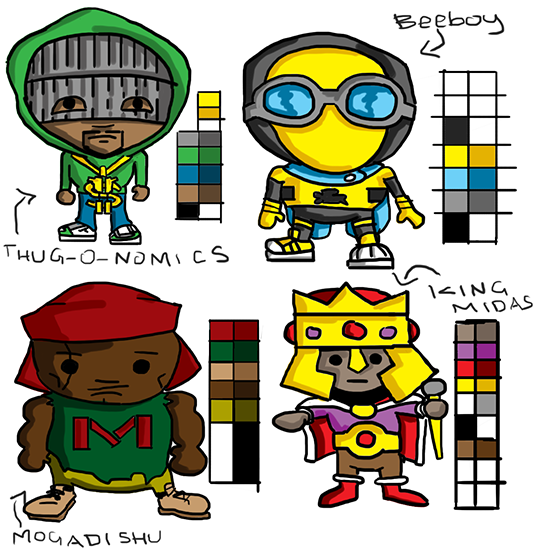 I’ve been trying to simplify the characters of the Beeboy universe for animation purposes. This Gif gig really has me inspired so, now there are these chibi/kawaii Beeboy characters. Things like this just happen. I mean they take a while to happen, but they pop into my mind and I have to share. Getting the Beeboy project running. Making more progress than I ever have. Now there’s a brief introductory “posse cut” with the Stunning Beeboy’s main rap antagonists. Mogadishu, Thug-O-Nomics and King Midas. 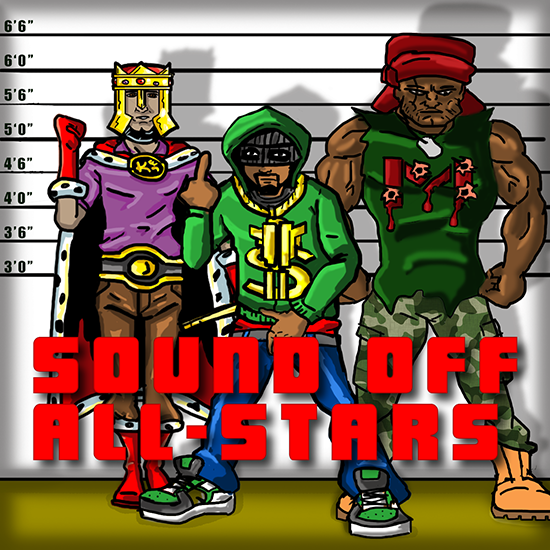 Sound Off Records is kind of like the Def Jam of the Beeboy universe. My friend @gee2tha wanted to name the label Blind Jelly, for a more direct correlation, but I think Sound Off works on many levels, it works as a military chant, it alludes to that idea that something is a little wrong, or off with how the label is so successful and finally the beats knock so hard it’s blow speakers and overload your mixers, turning your sound off. 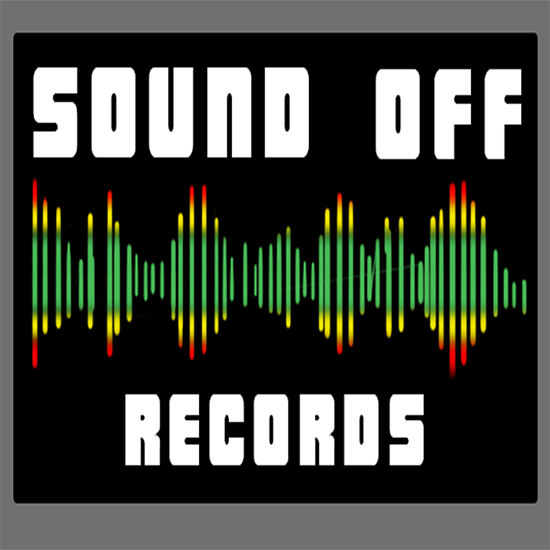 Here’s a temporary logo for Sound Off Records, to be cleaned up later. And here’s the Posse Cut. I went the usual suspects type record cover, because it was the obvious thing to do, a police line up with gangsta-ish rappers. It also doubles as a scale for the character models. Mogadishu, Mic Check – You ain’t running for your life yet? Hey folks! Mind if I ask for a two-panel thing? I’d really appreciate it if somebody could draw that for me. Thanks in advance! I thought it would be a fun exercise, so I whipped this up in about half an hour or so. I hope the guy can use it. It was fun. 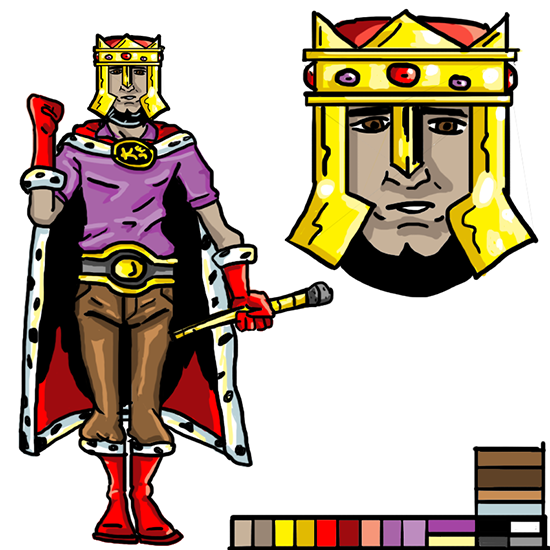 King Midas from the Stunning Beeboy Universe has little in common with the figure from legend, beyond his affinity for gold. My King Midas goes a step further, he has the platinum touch. He’s a braggadociuos rapper that is enraptured by all things that glitter and build status. Not very violent or street, but has street cred and built his reputation as a battle rapper. 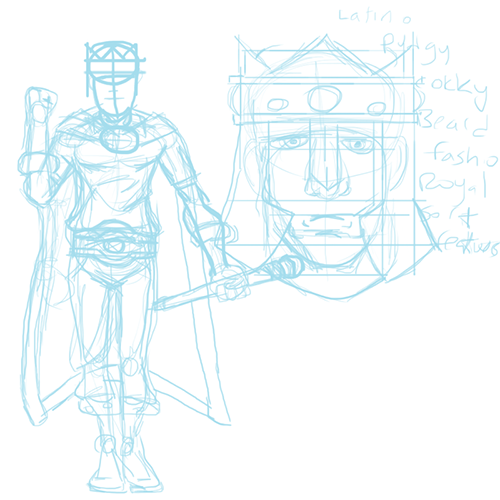 I’ve had a few looks for him, but I’m trying more of a cartoon style, like easy to animate with detail. 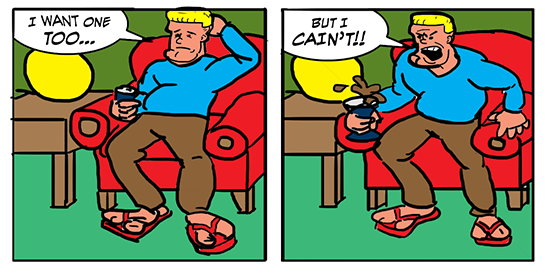 Here’s a rough character model from blue line to full color. I made his song, Crowned Victorious by looking into the catalogs of his real life rap analogs, Kanye West and MF Doom. Along the way I stumbled accidentally on the bass line to The Boogie Down Productions classic, “The Bridge is Over,” while hitting keys on the “piano” Threw that in the mix and sang some weird hums before landing on a heavily tuned refrain of Crowned Victorious. 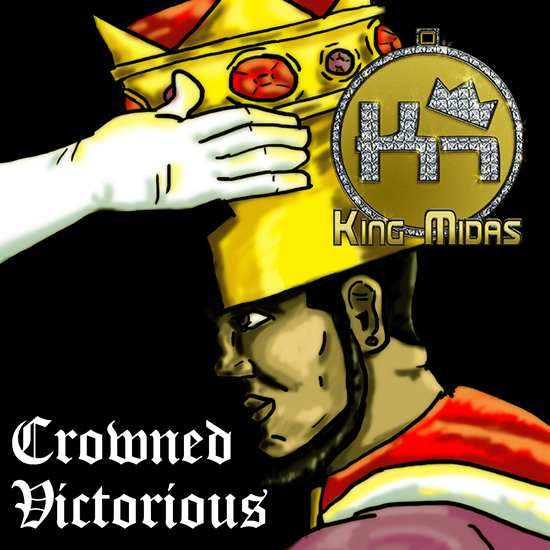 I thing it comes together well enough, I freestyled for eight bars keeping on the topic of what King Midas represents. I thing the record cover below would work for this fictitious artist. Took me a while to get to this one. I had a lot of trial and error. But PhotoShop having layers are a big help. So, this is a multiplatinum selling rapper named Thug-O-Nomics, whose song was in the previous post. Pretty much a studio gangsta that evokes Dr. Doom imagary. I hope. 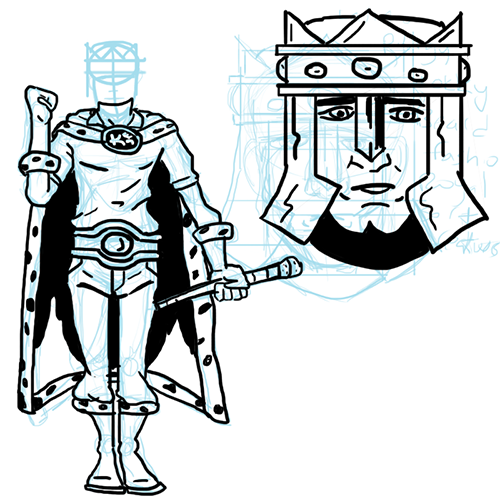 Trying for a Daniel Acuna style. It’s shaping up, I think. Here’s a track for a serious antagonist to the hero The Stunning Beeboy. I wrote these verses way back for this character, but made the beat and recorded it today. It’s a rough, but I had to share. 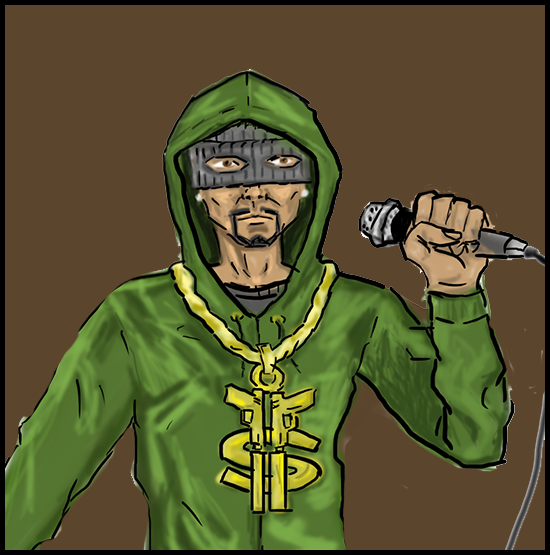 Thug-O-Nomics is a studio gangsta. He’s the top seller on Sound Off Records. He used to date Beeboy’s sister. Beeboy doesn’t hate many people more than he hates Thug-O-Nomics. But the song is thorough.